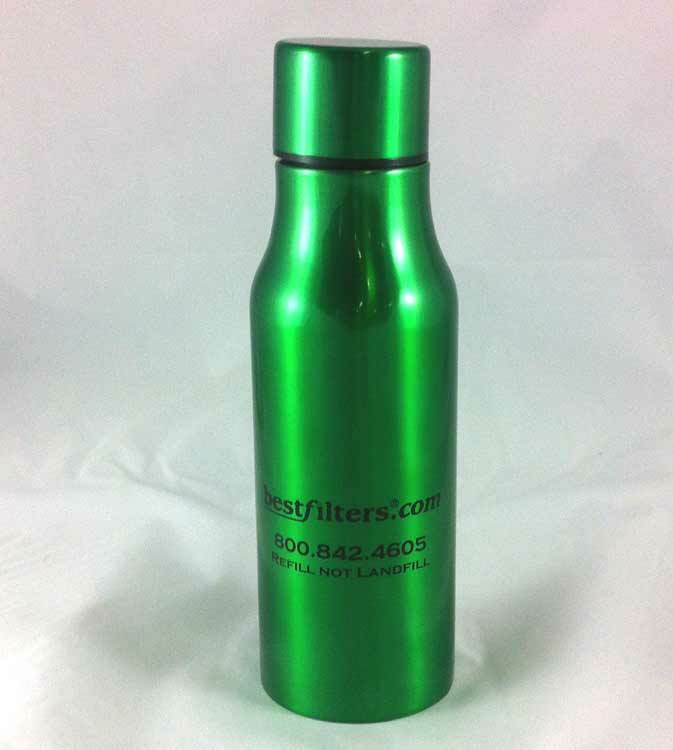 Home > Water Filters > Stainless Water Bottles > Green Stainless Steel Water Bottle - 16 oz. Made from high quality, food-grade stainless steel that's totally free of BPA and other toxins. Because stainless steel itself is safe, we don't need to coat the inside of the bottle with a plastic or epoxy lining, which is one of the main differences between a stainless steel bottle and an aluminum bottle. Food-grade stainless steel is used in the brewing, food and wine-making industries too. It's the material of choice because it doesn't retain or impart flavors. No matter how many times you refill it, no matter what you put into it, your BestFilters water bottle will keep your drinks fresh, crisp and clean tasting. All our caps are BPA-free too.